Can you hear the weekend whispering your name? Are you in doubt what to do? 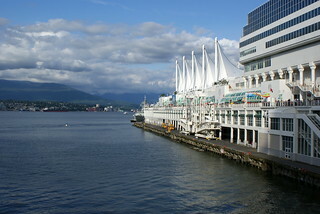 Vancouver offers many indoor and outdoor activities and I understand that it may be difficult to choose what to do. Soooo, read and decide! A good breakfast is the best way to start the day. The Elbow Room on Davie Street: “Food and service is their name. ABUSE is their game (so have some fun)”. This place is known for their verbal abuse and their awesomeness at the same time. Their service is not the most polite and if you don’t finish the food on your plate a donation will be collected for a charity. But it is said that they have the best breakfast in town and going there would be a real experience. 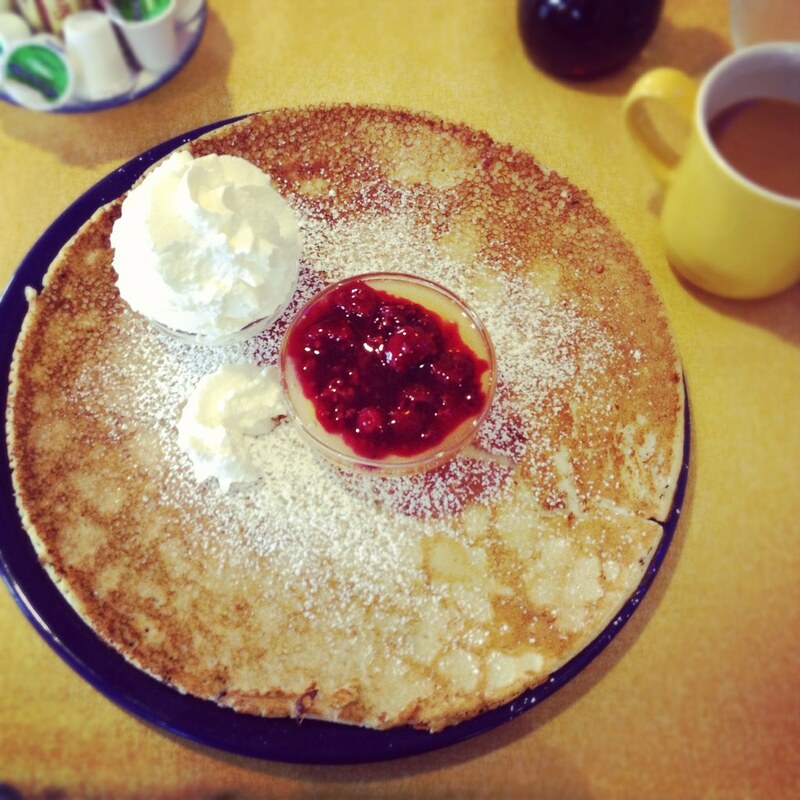 They serve meals from eggs to pancakes and from sandwiches to burritos and quesadillas. Defenitely worth a try! Hands up if you do not like beer! Ha, that’s what I though. Okay, I guess most of you have already seen or read it somewhere, but this weekend is Vancouver Craft Beer Week Festival. 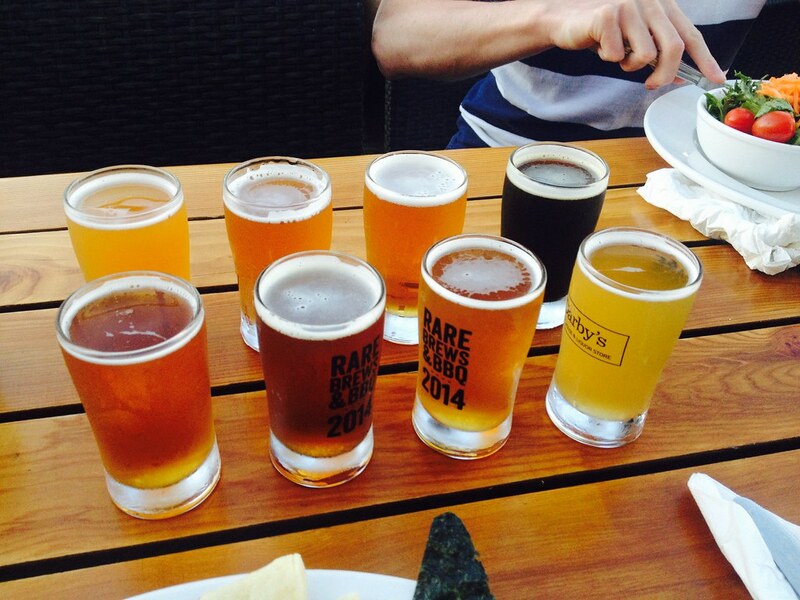 It is the biggest craft beer festival in Canada with over 100 breweries and up to 400 beers to sample. Tickets can be purchased for either Saturday June 6th or Sunday June 7th and will roughly cost you 40 dollars and gets you entry to the festival, entertainment and a souvenir tasting glass. Inside tokens only cost $1,25 each. Are you keen to join yoga classes but not able to afford it? You can now join free yoga classes on Kits beach and in Dude Chilling Park. Until August 31st free yoga classes are offered on Mondays, Wednesdays and Fridays on Kitsilano beach between the pool and the tennis court by the big trees from 7 to 8 p.m.
Last summer, the community gathered 3 times a week and sometimes up to 75 of us flowed together in the sunshine! In total offered 37 free classes to 1080 people! The only thing you need to bring is a mat or a beach towel. You are encouraged to show up as often as you would like! Isn’t that awesome? Both yoga classes do not require any previous yoga experiences. So why not join? I am keen! Let’s go together sometime! This Sunday, June 7th you could visit the Kitsilano Farmers Market at Riley park. A market filled with organic and conventional products: meat, cheese, seafood and plants. Also, they offer tasty baked goods, beautiful crafts and musical entertainment by local musicians. 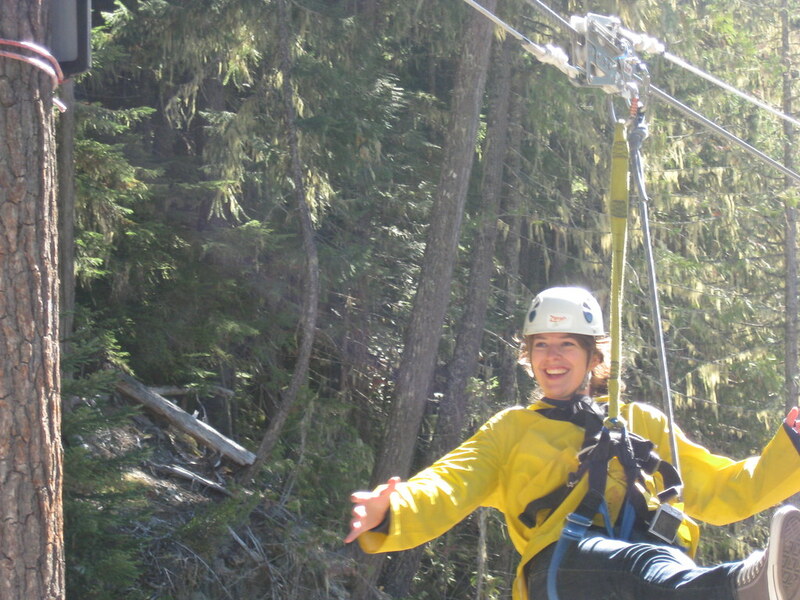 You must wake up early though, because this market is only from 10 a.m. to 2 p.m.
For the adventurers out there, go zip lining on Grouse Mountain! How awesome is that?! They offer two different types of tours: a 5-line tour and a 3-line tour. The 5-line tour includes a sky-ride, mountaintop activities and Peak Chair access and costs $109, whereas the 3-line tour includes a sky-ride and mountaintop activities and costs $70. Both tours will give you a unique perspective of Grouse Mountain! Tours are departing every 30 minutes. Visit this link to book your tour. You all know that Yoga isn’t that cheapest activity to do but we found a free Yoga course every Monday. It’s called Sitka Vancouver and it’s located on West 4th (1864 West 4th Ave.) in Kitsilano. They offers free yoga classes every Monday evening from 7:30-8:30pm. Just bring your own mat and than you can start to stretch along with professional yoga teachers for free. The classes are open to anyone. So if the next Monday is a rainy day you should check the free yoga classes out. Have fun at your free yoga class. PS: we will have a PuB NiGHT on Tuesday the 15th of April! 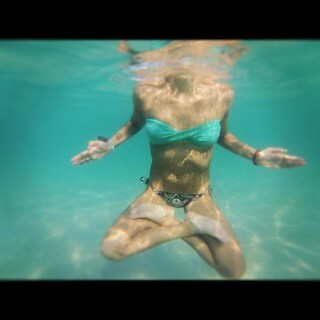 Learn Yoga for free! Have you ever been felt curious about how is to practice Yoga? 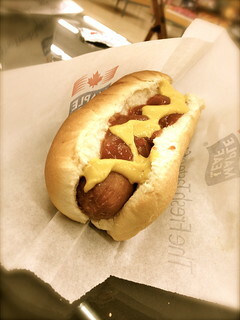 I am, especially since I arrived in Vancouver. It’s amazing how many people practice Yoga and meditation here. In every celebration (even in music festivals) there is always a space for practice this discipline. Originated in Ancient India, it’s said that provides physical and mental well-being, and a large amount of benefits. Talking with some people while i was writing that post, they told me that Yoga simply changed their lives, because now they can see the problems in other way and they can control the stress and anxiety much better. So I encourage you to try this discipline, because you can find a million of places where you can learn it for FREE! So take note because you will only need a towel, a foam and a bottle of water. All the following events are designed for beginners. No prior knowledge is necessary; everything is explained. 1-1½ hr meetings with practical sessions, video talks by Shri Mataji and guided collective meditations to enjoy, in a relaxed atmosphere. You can join in at any time – just come along. UBC Yoga Club, $2 each class! The UBC Yoga Club seeks to provide yoga to students and faculty looking for a way to wind down, relax, and take a break from the stresses of life. You can sign up at any of their classes; just make sure to arrive a bit earlier so you’re not late for class. Yearly membership is $10 for UBC students and $20 for everyone else. Each class is $2. Memberships are available throughout the year. They offer some lessons by donation: on Wednesdays at their Yaletown studio, Thursdays at the Kitsilano studio and Sundays at their South Granville studio. 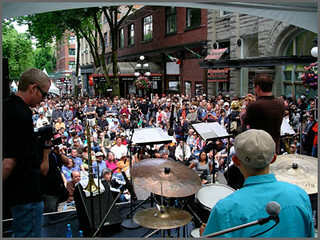 They have 8 locations throughout Vancouver, Burnaby, North Vancouver and Richmond. You can check all the locations here. Do you need exercise? Do you want it for free? You can do FREE yoga in one of the most beautiful locations of Vancouver – Canada Place! The 4th annual Waterfront Yoga program at Canada Place is going on this summer. Learn and practice yoga with certified instructors while having an amazing view! Classes take place every Tuesday and Thursday from 5:15 pm to 6:15 pm. Be sure to come early to get a spot, bring your own mat or rent one on site. Admission and mat rentals are by donation; the money will benefit Strathcona’s Food Security for Children program. For exact schedules and information on the participating yoga instructors please the official website. It is time for another Smart Saver Vancouver! 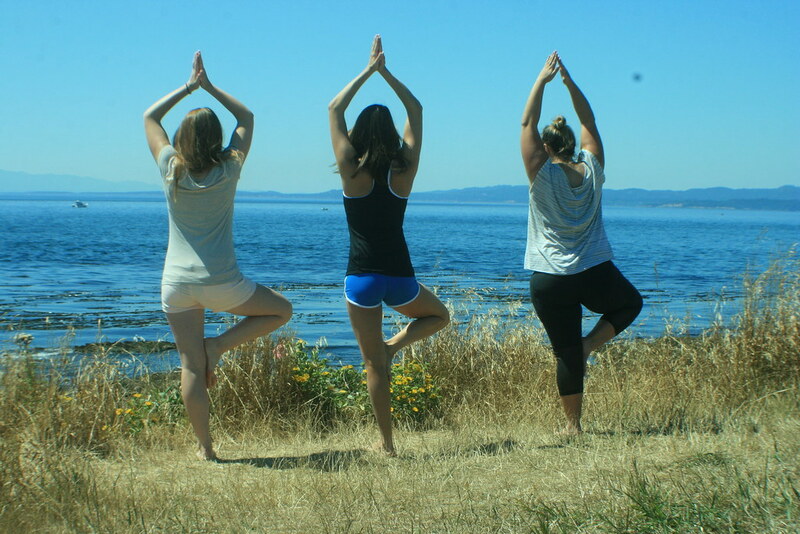 This week we introduce a yoga school, since yoga is very popular in Vancouver. There are many yoga school in and around the city, but this week I tell you the special offer of on the schools, namely Yyoga. Try two weeks for $35. If you are curious why Yoga is so popular in Vancouver, than you should try it! click here to visit the Yyoga Site.